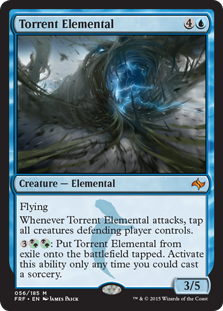 Fearsome Awakening adds yet another layer to the most dynamic Standard format of all time. 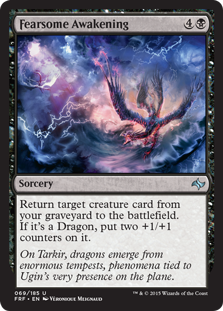 Dragon-themed decks continue to perform well in Standard… All different sorts of Dragon decks, from a resurgence in our Mono-Blue build to a brand new Fearsome Awakening reanimator that really has the gears turning. Unlike most PPTQs there is tons of Twitch TV coverage of Brendan’s win. Jeremy Sullivan represented Five-color Blue Dragons in Lutherville/Timonium, putting up a third place finish at a Star City Games Invitational Qualifier with an updated list with even more “Mono-Blue Devotion” sideboard transformative action. 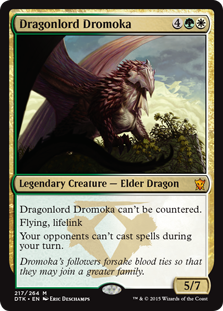 Jeremy deliberately played Temple of Deceit over Temple of Enlightenment main deck to feign Esper; this made life harder on Dragonlord Dromoka, but Jeremy counterbalanced by cutting a Dragonlord Ojutai to make room for more Icefall Regents main deck. Note the above deck is one card different from the version reported by Star City; Jeremy played only one Disdainful Stroke main deck, not two (putting his deck at 61 cards). According to Mike, Christopher Smoot “won the Internet” this week. The highlight of this deck is of course Fearsome Awakening. 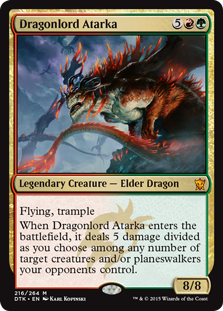 … You know, for when you need a fifth-turn 10/10 Dragonlord Atarka. 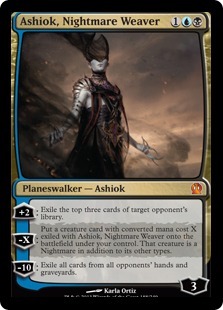 There are plenty of cool things going on with Smoot’s deck, including Whip of Erebos, Hornet Queen, and nugging yourself with Kolaghan’s Command to set up Fearsome Awakening. Fearsome Awakening may have won the Internet, but there are so many more cool Dragons decks in this podcast! G/R Devotion, Temur with Sarkhan Unbroken, and spitballing Elspeth, Sun’s Champion alongside Dragonlord Atarka in the same deck. 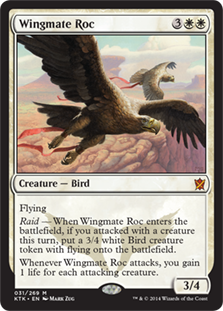 Finally, Chapin and Flores go over some of the listeners’ ideas for containing Deathmist Raptor and Den Protector card advantage in Standard. 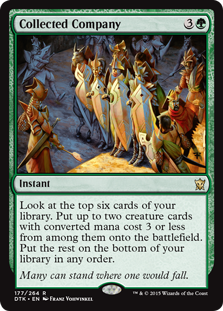 This week’s challenge: Brew with Sarkhan Unbroken! 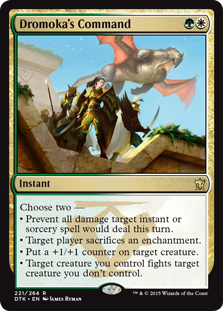 Den Protector and Deathmist Raptor are the dynamic duo driving many Abzan decks, from Abzan Megamorph to Abzan Control… To Abzan Dragons?!? Michael and Patrick have joined Team Ultra PRO for Pro Tour Magic Origins! Patrick still “has Pantheon blood” running through his veins, but our intrepid podcasting duo is super excited to join Team Ultra PRO. In case you don’t know about this team, it is absolutely lousy with Hall of Famer / Pro Tour Champion combos like Bob Maher, Paul Rietzl, and Ben Stark (and now Patrick)… As well as regular-old Pro Tour Champions like Craig Wescoe and up-and-comers like Justin Cohen and Adrian Sullivan. Read more about Team Ultra PRO and meet the full team lineup here. 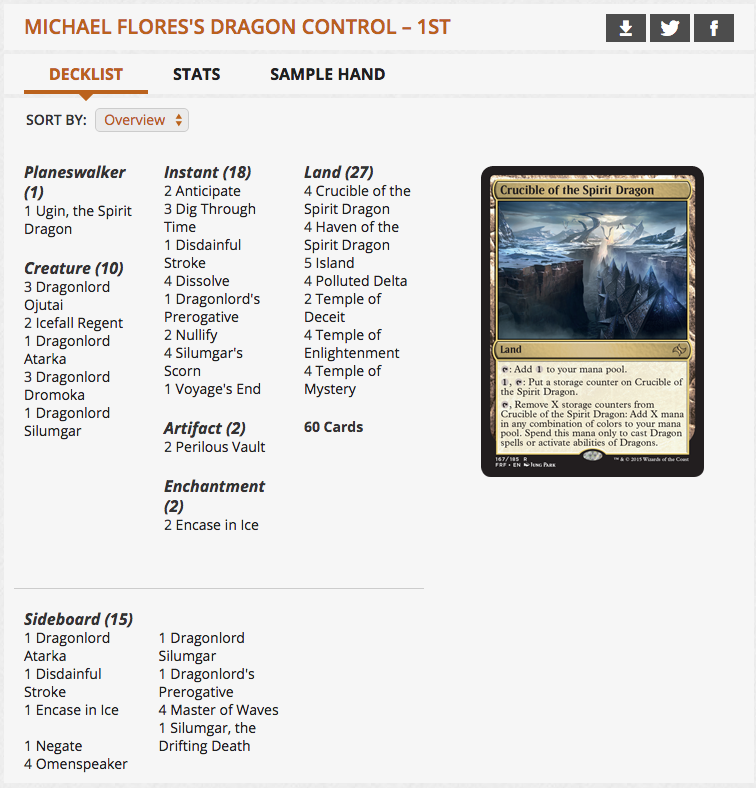 Makihito Mihara and Yuuya Watanabe played a Golgari Dragon Megamorph deck reminiscent of Mike’s Mono-Blue Five-color Dragons deck at Grand Prix Shanghai. Both finished in the Top 16 in Shanghai. Note the Dragon suite: All very similar to Mike’s list, essentially grafting [very close to] his Dragon selection onto an Abzan Megamorph shell. 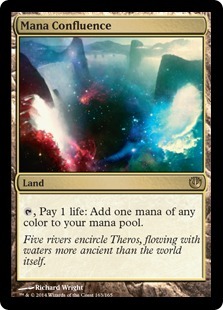 … Did we say “Abzan”? This deck cuts the darling Siege Rhino for the Dragons, stripping down to essentially just black and green (Golgari) in order to account for Haven of the Spirit Dragon. 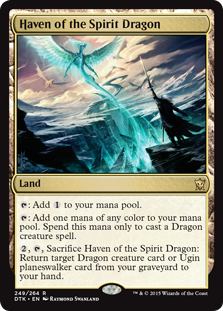 While their deck did not play Crucible of the Spirit Dragon, the combination of Satyr Wayfinder and Haven of the Spirit Dragon simulate playing more Dragon lands. Combining Satyr Wayfinder and Haven of the Spirit Drago makes up for the missing Crucible of the Spirit Dragon. Patrick Chapin is the patron saint of cutting to sixty cards… But in this case he makes a compelling case for Yuuki Ichikawa’s sixty-one. The TCGPlayer Open 5K in Milwaukee, WI had its share of sweet decks, too. Michael and Patrick discuss Taylor Atchison’s Bant Midrange and Caleb Durward’s Four-color Midrange deck. If you haven’t seen it yet, Caleb got there. Caleb got Den Protector, Dragonlord Ojutai, Siege Rhino, and Elspeth, Sun’s Champion all in the same deck. 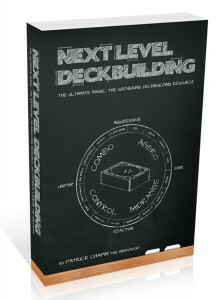 Find out what Patrick and Michael love, hate, and lovehate about this sweet new deck. All this and more in “Dynamic Den Protector”! 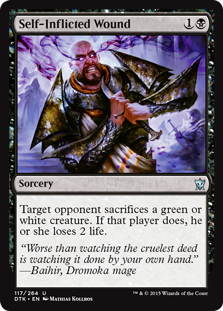 Find out why main-deck Self-Inflicted Wound is beating up the current Standard! 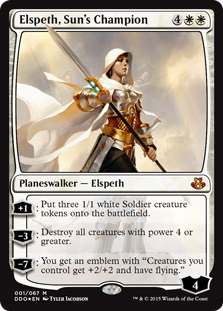 Learn how you can cut Bile Blight while overwhelming Mono-Red with Abzan! 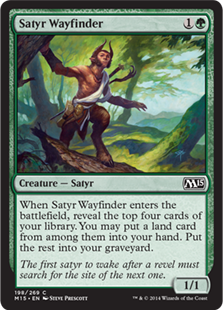 How do you use Boon Satyr to kill your opponent’s guys and then attack with it right away? 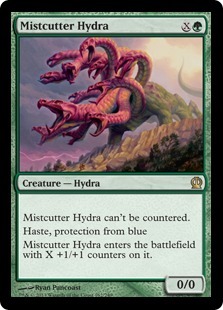 What is the card that “does what Utter End does but cheaper” in Caleb’s out-there deck list?